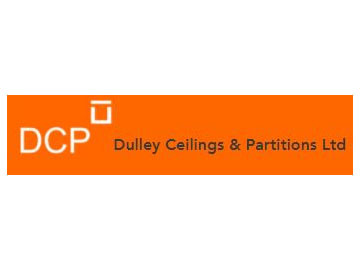 Dulley Ceilings and Partitions were established in 1997 and are located in Wallington, Surrey. 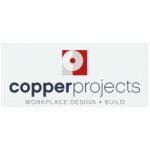 Dulley specialise in multi-disciplined interiors and bespoke architectural and steel frame construction services, in traditional and design and build projects. Dulley have an established reputation for minimising waste and delivering projects on time in their 30 years of establishment. Prior to selecting Construct for Sage 50 from Eque2, Dulley relied on running numerous spreadsheets to maintain their business operations, experiencing a number of issues by doing so. Ian Dulley, Account Manager at Dulley comments, “We used to be all Excel based, and were inputting data two or three times into different spreadsheets. All our invoices were manually inputted into a job costing spreadsheet. It was very hard to track committed costs, and it was a very manual process, we needed to make sure the information was 100% correct”. After selecting Eque2, Ian commented “I think Construct for Sage will benefit us in a number of ways, particularly in terms of our invoicing as we have recently taken on a buyer who is based away from our offices. 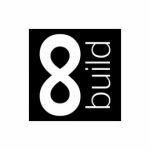 With Construct I can now populate the system and send him copies of all the invoices for the jobs we are buying on, which he can now access and manage directly in the system.”. Ian went on to comment “I think Construct for Sage will enable us to be more efficient and quicker on day to day tasks, at the moment I can spend 2 hours approving invoices”. “The look and feel of the software is also very reassuring, it looks just like Sage 50 accounts, so everything fits in with what you expect and are used to seeing”. A key benefit for Dulley is the ability to work quicker and smarter with the aim of maximising cash flow within the business, Ian now saves 2 hours a day which is the equivalent to an extra day and a half per week to drive the business forward in other areas. Another key benefit to Ian and Dulley is the cost savings to be gained from using a fully integrated construction specific accounts system. “Essentially we are looking to save time and money, and Construct has with the added benefit of allowing us to move towards a paperless office using the Invoice Capture module. We can now saving money on a number of fronts”. Eque2 would like to welcome Dulley on board, whilst looking forward to working together in the future. For more information on Eque2’s Construct for Sage construction accounting software solution please contact a member of our team. I think Construct for Sage will enable us to be more efficient and quicker on day to day tasks, at the moment I can spend 2 hours approving invoices. The look and feel of the software is also very reassuring, it looks just like Sage 50 accounts, so everything fits in with what you expect and are used to seeing.